We are no longer a preferred provider but still accept MBP so you can still claim your rebate and receive the same great care and attention from Dr Workman. 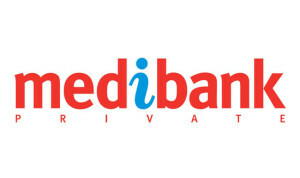 We are specialist Medibank Private providers. This means we have an agreement with Medibank Private Health fund to provide dental services to their members according to a fee schedule that is set by MBP not by us. This is assuming you have ‘dental cover’ not just hospital and extras. Well, firstly for most Medibank Choice members, they will receive two free checks and cleans each year. There is still can be a gap with the very lowest cover levels, so it’s important to give them a call and check if you are unsure. Medibank fees are considerably lower than our standard fees. The fees they set tend to be increase slightly each year inline with inflation, but still remain 10-50% lower than our normal costs, depending on the treatment or service that is required. You can see that you can get the same great treatment from us- but at a much lower cost- right here in Maroubra. From this information they will be able to tell you how much money you get back- allowing you to calculate any out of pocket expenses. They will also tell you any waiting periods or restrictions that you may have with your cover, possibly meaning you would not be covered. After the examination, we will print you out a treatment plan of anything you require to fix or look after your teeth and this has everything you need on it for checking the gap for any subsequent treatment. We are the only Medibank private dentist in Maroubra, that’s not to say other dentists won’t accept you as a patient or that you can’t receive benefit at them. It means that because they charge normal private rates not the set fee schedule Medibank provides for its Member Choice dentists, your out of pocket expenses will be considerably higher. We are a great dentist in Maroubra, who carry out quality treatment and really look after our patients. This alone is a good reason to choose us! However, if you can get this quality and care at Medibank fees (which as a MBP member with dental you can) you just end up paying considerably less for the same great service.